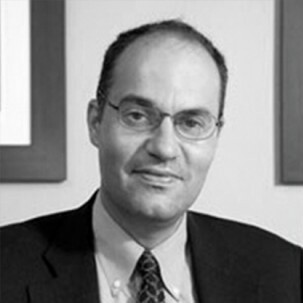 Matthew E. Kahn is a non-resident scholar with the Marron Institute of Urban Management, and a Visiting Professor of Economics and Spatial Sciences at USC. Previously, he was a Professor at the UCLA Institute of the Environment, the Department of Economics, the Department of Public Policy, the Anderson School of Management and theUCLA Law School. He is a research associate at the National Bureau of Economic Research and a research fellow at IZA. He also serves as a Non-Resident Scholar at the NYU Stern School of Business at the Urbanization Project and as a Non-Resident Scholar at the University of Pennsylvania Institute for Urban Research. Before joining the UCLA faculty in January 2007, he taught at Columbia and the Fletcher School at Tufts University. He has served as a Visiting Professor at Harvard and Stanford and as the Low Tuck Kwong Distinguished Visiting Professor at the National University of Singapore. He holds a Ph.D. in Economics from the University of Chicago. How Does Singapore Cope with the Heat and Humidity? Miami: Doomed by Climate Change?